15.09.2014. Those that are involved in the fashion industry in Georgia are set to benefit from a one-day master class given by expert in the luxury business Mr. Denis Morisset, on the topic: “Successful sales and service building in the luxury industry”. 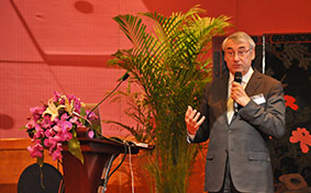 The event will be held in Tbilisi, Georgia, in the hotel Courtyard by Marriott on 18 September, 2014. New trends in the fashion industry, new strategies in successful branding on foreign as well as local markets, secrets to the success and profitability of luxury companies, as well as key problems of the industry and how to resolve them, are the main topics of the master class, which is being dedicated specially for Georgian fashion industry representatives. The event will take place at the initiative of Luxor Management company, whose local partner is Schuchmann Wines Georgia. Amid the different parts of the evening, as well as during the degustation of different wines from alcohol partner Schuchmann Wines Company, participants will have the opportunity to network with colleagues in an informal atmosphere and to strengthen business contacts. Around 50-60 people, managers and owners of boutiques, heads of sales departments, training managers as well as sales managers, will attend the master class. 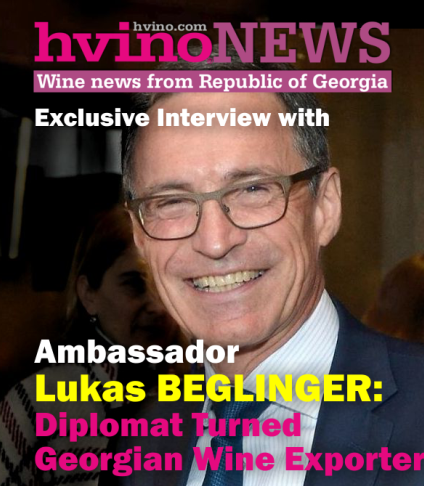 “As a top boutique winery, the company Schuchmann Wines Georgia is always interested in supporting such activities which contribute to raising the country’s popularity and awareness,” said Nutsa Abramishvili, General Director of Schuchmann Wines Georgia. “Besides the master class itself and the qualified information that the guests will get about the fashion industry, they will also get introduced to Georgian history, wine and culture. There will be a Shuchmann Wines degustation. The information that guests get from the event will be disseminated through different international publications, which will subsequently raise awareness of Georgia as a country,” she added. “This is an international event which is introducing new trends of the fashion industry. In Georgia the fashion industry is in the process of rising and developing. It is very important that the Georgian people who are involved in the fashion industry become aware of international experience - what the process of the formation of brands on the market entails. The fact that the organizers of this event chose Georgia and its capital Tbilisi as the host city is a very preferable fact for our country. Many guests from the fashion industry will be coming to Tbilisi. As a result, local manufacturers will be getting a lot of information on key points that are useful for the development of their business,” Abramishvili said. “Georgia very much needs to export their brands internationally. First of all we need more production. 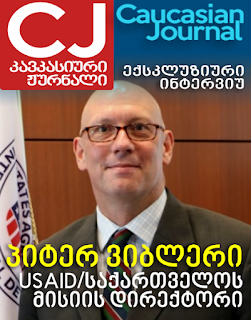 I hope that this event will encourage people in Georgia to start to increase the capacity of their production. Schuchmann Wines is produced in Georgia and exports its production to more than 15 countries throughout the world. We know what branding is and what it is to position your brand on international markets. Our segment is the luxury segment. Fashion and luxury are always closely linked with each other so it was not difficult for us to be a friend of the Luxury Education event,” she said. The company Schuchmann Wines Georgia is trying to raise Georgia’s awareness abroad not only by supporting such events as the Luxury Education master class, but also by expanding abroad and exporting their brand to international markets. Schuchmann Wines Georgia plans to create a network of the brand Schuchmann Wines, which means opening Schuchmann bars and hotels in different regions of Georgia as well as abroad. The company will be starting with Kisiskhevi, Kakheti, where it will be opening a new hotel in 2015. “We intend to expand our hotel in Kisiskhevi as the number of tourists has been increasing. Booking.com, HolidayCheck and TripAdvisor state that we are the number one destination in Kakheti. Our guests have rated Schuchmann Wines Georgia as the number one destination. We are only in the fifth year of our operations, which is a very short period of time to have accomplished so much, however despite this we have achieved remarkable success. Schuchmann Wines as a brand is already well-acknowledged. Our new goal is to make a network of the brand Schuchmann Wines, which means opening Schuchmann bars and hotels in different regions of Georgia and even abroad. We will start building a new hotel in 2015, which will be located next to the old hotel. The new hotel will have its own swimming pool, which will have an unusual design - it will be in the shape of a wine cistern,” said Abramishvili. To increase awareness of Georgian heritage, of which wine is of course a central part, Schuchmann Wines has opened a wine bar in the historical building of Karvasla, which is located in old Tbilisi and has historical and cultural importance. 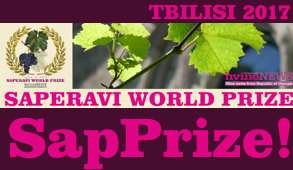 Abramishvili is sure that the sale of the brand will contribute significantly to the awareness of Georgian wine abroad, as she cites the following example - that all it took was the popularity of its gastronomy and little pizzerias to bring world fame to Italian wine. “A wine bar with an extraordinary handmade interior design befitting of Georgia’s rich history and culture is a new concept for the Tbilisi touristic and gastronomic sector. It was our dream to combine wining and dining. We have successfully made our Chateau in Kakheti and Schuchmann Wines Chateau with its hotel and restaurant the most popular destination in the Kakheti region. We are proud that the brand “Schuchmann” has been successfully launched in wine production, agriculture and tourism. In the long term, we plan to franchise the concept abroad and achieve the primary goal of this project - to market and export Georgian heritage, Georgian wine and gastronomic tourism,” said Abramishvili. The Schuchmann wine bar is about presenting Georgian wine and Georgian cuisine. The idea was inspired by history and tradition, to bring together everything about winemaking and the Georgian story. The exclusive atmosphere serves to relax guests. The bar offers a variety of services, including wine degustation, business lunches and a Georgian А la carte menu. Its sommeliers are there to present guests with all the intricacies, uniqueness and characteristics of individual Georgian wines. The kitchen staff treat guests to expertly-prepared Georgian dishes. In the wine bar one can find boutique galleries of handmade artwork, fine art, Georgian ceramics while also being able to listen to Georgian ethno-jazz. “We have created our own design for this bar, which is based on wine themes. This is a unique design which has been patented. We have created a wine interior. We have an open kitchen and all guests can see how their meal is being prepared. There is a non-smoking area in the wine bar,” she said. Schuchmann Wines has also expanded its winery in Kisiskhevi and has tripled the volume of its production. “Because of the high demand we increased the capacity of Schuchmann Wine’s production. 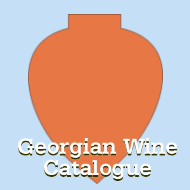 In 2014 there was quite high demand for Georgian wine from Russia. 70 percent of the Georgian wine produced was exported to Russia. This was a year of great change. From 2015 we are going to diversify the foreign markets, meaning that we will balance the export capacity for each export market where Schuchmann wines are exported to,” Abramishvili said. 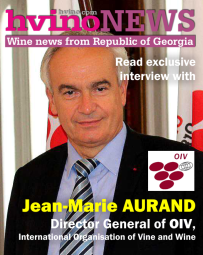 “Post-Soviet countries still remain the main markets for Georgian wine exports as the level of awareness there is high and it is easier for us to establish marketing communication with these markets and sell our production there. However, new markets are also very interesting for us, therefore we will add new markets as well. Within the framework of our marketing activities we use Kvevri wine (Georgia’s traditional winemaking method of fermenting grapes in earthenware, egg-shaped vessels) as a product which attracts more customers, as Kvevri wine is unique in itself. It is precisely the Kvevri element of Georgian wine which gives it a competitive advantage over other wines of the world. It takes time to make Georgian wine popular and increase its demand abroad as Georgia lacks awareness and has not been properly introduced throughout the world,” she added. 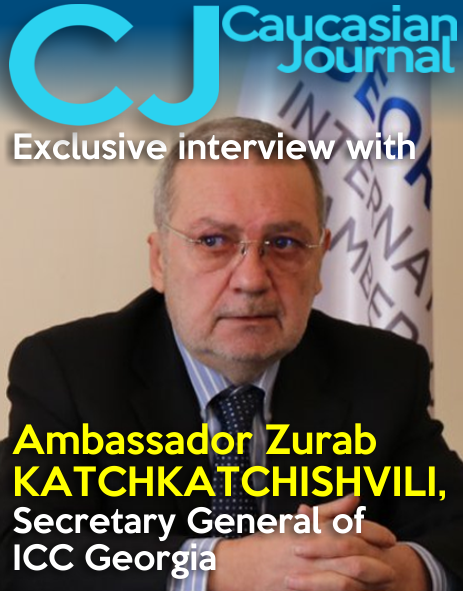 “When the Russian market opened for Georgian products it was risky for us to enter there. However it is not only Russia, but any new market that is risky at first. Nowadays, we have no fear that Schuchmann Wines will face any challenges in Russia, but taking into consideration the currently tense situation in the region including the sanctions, I would not rule out the possibility that Russia could complicate relations. However, we admit that economic relations with Russia are very useful for Georgia as the agriculture sector has gained additional income by entering the Russian market and accordingly, the state’s budget revenue increased,” she said. “Because of the drought in Kakheti the harvest capacity has reduced by about 30 percent which will cause increased wine prices as a result. The price increase is also caused by the high demand from Russia. This year the prices of grapes have doubled compared to last year. We will see what the capacity of the harvest is this year and will set the sales strategy accordingly. However, we are planning to sell a million and a half bottles of wine in 2015,” Abramishvili said.